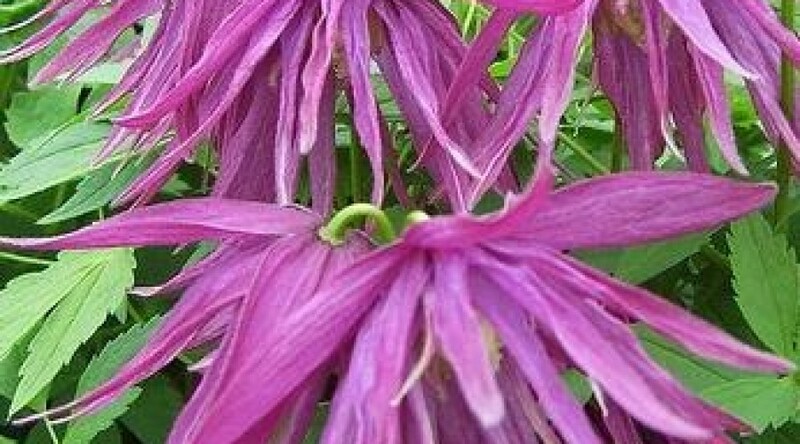 Purple spider like nodding flowers in April- May with pretty seed heads. Growing to a height of 6 to 8 ft. Likes any aspect.